Kolo Collection is a high-design, high-quality premium outdoor furniture and accessory store located in Midtown Atlanta at the Westside Urban Market. Since opening in August 2003, Kolo Collection has evolved into one of the most unique retail showrooms in the country. 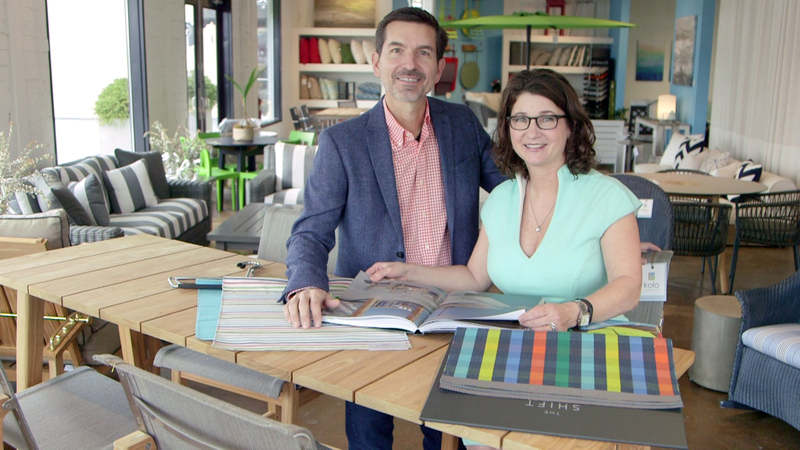 Owners Michelle Larrabee-Martin and Greg Martin have created an environment where clients can experience an extensive collection of distinctive outdoor furniture from industry-leading manufacturers like Brown Jordan, Lloyd Flanders, DEDON, TUUCI and Loll Designs. Whether you’re in the market for exterior dining, fire pits, chaise lounges or outdoor sectionals, Kolo Collection has exactly what you need. With more than 40 years of experience in the design industry, Michelle Larrabee-Martin and Greg Morgan are there to help you create your perfect outdoor retreat. Whether working with homeowners or within the premium outdoor furniture trade, the Kolo Collection team has the experience and knowledge to provide exterior furnishings that create a unique, exquisite space. Kolo Collection has been a finalist for the Apollo Award, an industry honor bestowed upon the best outdoor furniture store, in 2005, 2006, 2007, 2008, 2010, 2012, 2013 and 2016. In addition, the Atlanta showroom received the Best Outdoor Furniture Store title in 2012 and 2014 from Jezebel magazine, as well as Best New Outdoor Furniture Store 2003 and Best Outdoor Furniture Store 2005 from Atlanta magazine. Casual Living honored Kolo Collection with the Best Store Front Single Store award, and Garden Design selected us as one of the Top 25 Garden Shops. Additionally, Kolo Collection has been featured in Hearth & Home, Southern Living, the New York Times, Cottage Living, Atlanta Homes & Lifestyles, the Atlantan and Atlanta magazine. Looking for premium outdoor furniture in Atlanta? Visit Kolo Collection at our retail location in the Westside Urban Market. You can also call our team at 404-355-1717 to schedule a complimentary in-home design consultation!